Do you believe in time -travel? Do you believe in conspiracy theories? And are you a fan of watching those videos that make your jaw drop to the floor in disbelief? If yes, then the video that recently went viral will surely blow your mind. What makes the video unbelievable? The video was recorded on a Footscray intersection in Melbourne, Australia. 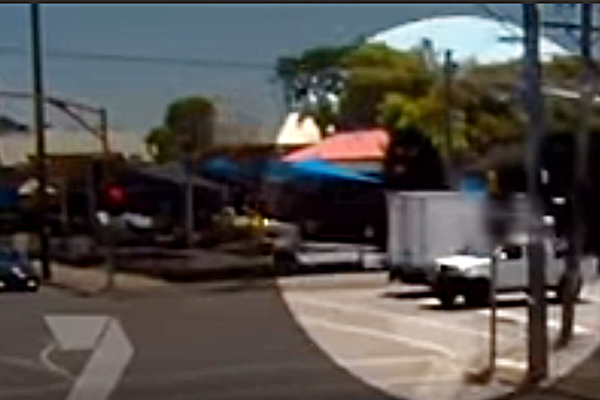 The 6-second video starts with a delivery truck crossing a traffic signal. But as soon as the truck reaches the other side of the road, it blasts into a thousand pieces. But that’s not what makes this video special. The video also captures a man, apparently a time-traveler, who vanishes just a few seconds before the truck exploded. Prior to the blast, the man was normally walking down the street but it seems he knew what was going to happen in the next few seconds. And just about two seconds before the blast occurred, the time traveler vanished in thin air as if he walked into a portal that took him to some other dimension or something. The question is, how did he do that? 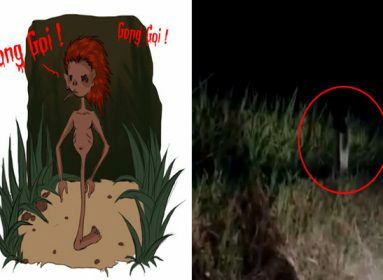 Ever since the video was released by the Coroner’s Court of Victoria, it has been doing rounds on the social media platforms. The whole matter was investigated by the Police and even they couldn’t come up with a theory behind the fact that a time traveler vanished in an instant. They couldn’t even identify him. However, after investigation, the real reason behind the explosion was revealed. They came to know that the explosion was a result of human error. According to the reports, a man named Anthony Carnevale died in the blast because of a gas leak and spark from an un-capped 12-volt battery. The reason why the delivery truck went up in flames was that it was next to the spot when Anthony was taking his barbecue and gas cylinders to his new house. The cylinder blasted and so did the truck as a result of carrying gas-cylinders that caught the flames and exploded for being too close to the spot. There has been a debate going on about the authenticity of the video but it seems to be pretty real to me. Some users say that its a good editing job, but what if it’s not? It still doesn’t answer the question as to how the time traveler vanished into thin air? What about you, can you come up with an explanation? Or just follow the stereotype by discarding it as editing.